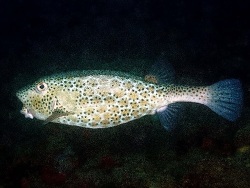 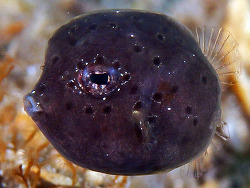 Any fish of the family Ostraciodontidae are easily recognized by there bony plates fused to form a box covering the body, only the mouth and fins being free of the armour. 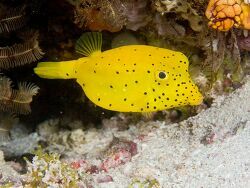 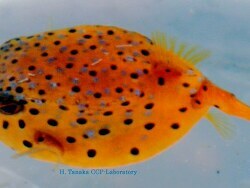 Boxfishes swim slowly. 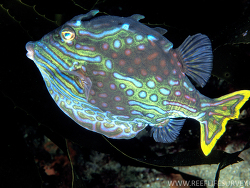 Their fins are much reduced and they are usually slow swimmers, but capable of short rapid bursts. 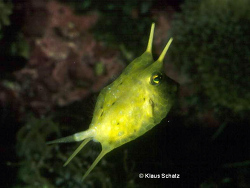 They also have no pelvic fins and fins without spines. 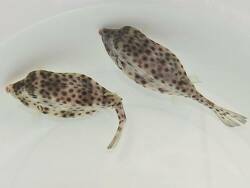 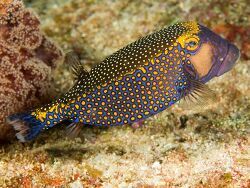 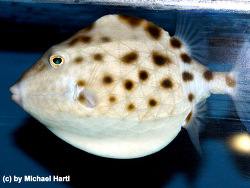 Some of these family (if stressed) can release defense toxins (Ostracitoxin) from their skin that can kill other fishes or themselves in a confined space such as an aquarium. 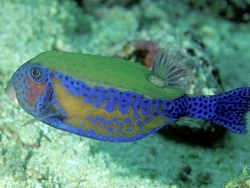 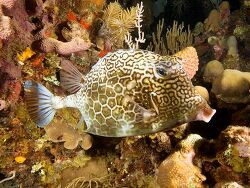 The diet of these species includes tunicates, sponges, soft corals, crustaceans, worms, and algae. 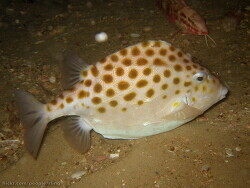 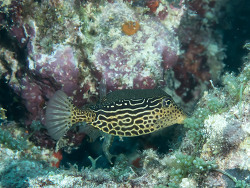 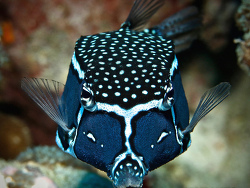 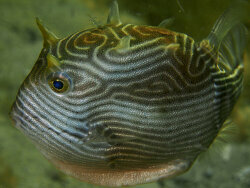 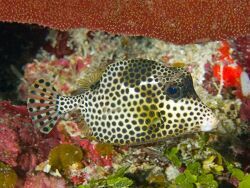 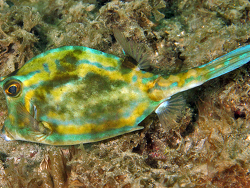 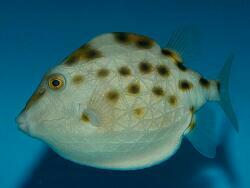 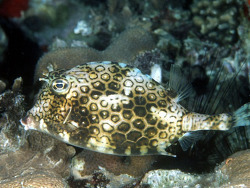 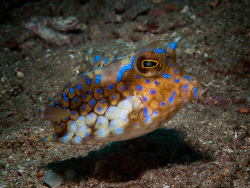 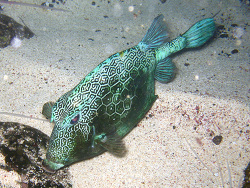 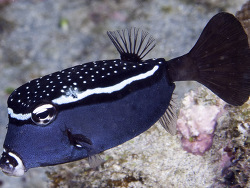 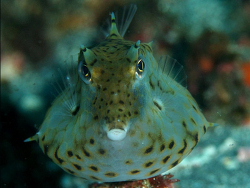 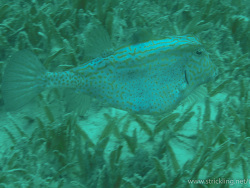 This time (2009) we know 33 species and 14 genera of boxfishes worldwide. 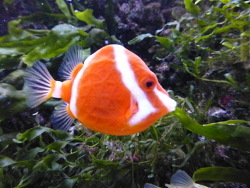 They are territorial and haremic, and not recommended to be keept in a reef-tank.